Commencement Address by Rosario Angeles Tan-Alora, MD, FPCP, delivered during the 20th Commencement Exercises of the Ateneo de Zamboanga University School of Medicine held July 10, 2017 at the Garden Orchid Hotel. Regarded as the "pillar of Bioethics in the Philippines," Dr Alora is an infectious disease consultant and the chair of the Ethics Committee of the University of Sto Tomas Hospital in Manila and a member of the Committee on Information Dissemination, Training and Advocacy of the Philippine Health Research Ethics Board. She also founded the South East Asian Center for Bioethics. 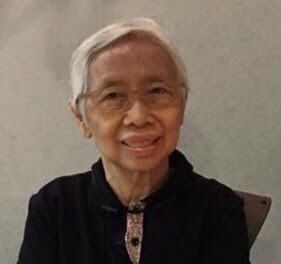 She has authored and published a number of books in Bioethics and received several accolades, the most recent of which, conferred in May 2017 is the Dr Gonzalo Austria Memorial Award, the Philippine College of Physicians Highest Award. You have endured, persevered and grown in medical and public health school. This afternoon is your time of deserved glory. Congratulations to each graduate and to all who sacrificed to help you arrive at graduation. At the same time, let me remind you that you have much work ahead. Your talent and education distinguish you as special. Your parents, family members, teachers, patients, barangay comrades, tax payers and all who have contributed to make you what you are, expect much from you. Two specific situations call your attention. First situation: In your schooling, as you met patients and worked in communities, you surely observed the huge differences in health and healthcare delivery - the variations among different age, socioeconomic, religion, gender, and geography groups. As an example, a 64 year old wealthy man with leukemia has chemotherapy followed by a bone marrow transplant in a hospital in Metro Manila. A one month old indigent infant in rural Zamboanga dies of pneumonia with no antibiotic or consultation with a healthcare provider. Scientific advances to improve life are available only to the affluent close to tertiary facilities. 2nd situation Much health knowledge, generated in our schools and places of work are not passed down the information chain and fails to impact health. Discoveries are not "translated" into the appropriate contexts for healthcare workers, policy makers and the general public to use. An exception is your remarkable study on latrine use in Labangan, Zamboanga del Sur which âtranslatedâ into something of value to the people. More households have sanitary toilets, youth have educated community members about diarrhea and the need for latrine use, and a barangay ordinance ensures every householdâs access to a sanitary latrine. Many other studies produce no tangible benefit. They are left in the archives of the institution to rot and be forgotten. The disparities between the health service some receive and others do not, between what is discovered and what is shared and used has induced the premature loss of life, increased burden of disease and inadequate access to quality healthcare. This narrative pervades our healthcare system today and will continue tomorrow and spread the following years if conditions persist. As Medical professionals, doctors and public health workers, this is an injustice we cannot allow. It is a moral imperative that triggers our response. We must do something. I wish I had a magic wand I could sweep across the Philippines and provide standard updated healthcare to every Filipino and present research findings to all the right audiences. Or I wish I were Pres Duterte with the political will and resources to correct the myriad of complex biological, physical, socio-economic, political and cultural forces that underlie these inequities. Unfortunately, I have neither the magic wand nor am I the president but fortunately, this afternoon, I have an enormous resource. I have you, new doctors and public health professionals: intelligent, resourceful, vibrant and hopefully ready to help.Your good work should not end with graduation. Whatever future path you choose, practice, teaching, research or further studies, no matter where you go; even if you are overburdened by demands of your growing career and family, find opportunities to make a difference â maintain your idealism and dedication to better our situation. Be vigilant not to propagate practices that further health inequity. Avoid judging people as similar to or different from you and then dealing with them accordingly. Stop ignoring those who appear unlike you. Instead, be with them in solidarity, break down barriers so all are included in the delivery of healthcare and the sharing of research results. Next, in research: We cannot survive or prosper simply by implementing what is already known. In order to flourish, someone has to add new discoveries â let that someone be you! As you leave college, know that the academe has no monopoly on knowledge production and dissemination. Withstand the pain of following the ethical rules in research: motive for the good of humanity, harm unavoidable, minimal and proportionate, gain for participants and community, free and informed consent, and fair participant selection and distribution of benefits and burdens. In reporting your research, always apply knowledge learned to those who can benefit from it. Share findings first with the scientific community in professional conferences.Your presentation re Children caught in cross fire in Basilan at the PPS is an illustration. Publish in open access journals for colleagues to read, Register in the national research base to inform other scientists. Establish your own institutional repository as an accessible reference library. Follow by communicating to the public in plain language, through media. Move to drive public policy discussion, formulation and implementation. In short, integrate science into practice and policy. You have done remarkable work. Continue to do so and expand. Never underestimate your capacity to do tremendous good . Contaminate others with your enthusiam, inspire with your passion, And please, dear graduates, never stop listening and never stop caring. The world has given you an excellent education and much more. Reward it with the best version of what you were meant to be. Congratulations again and Maraming salamat sa inyong pakikinig.